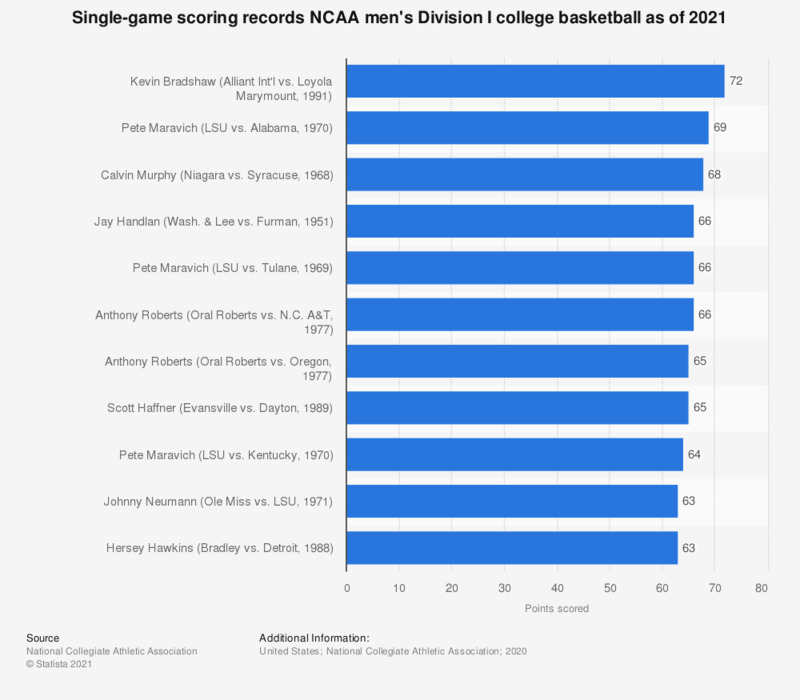 The statistic shows the single-game individual scoring records of NCAA Division I college basketball as of January 2019. Kevin Bradshaw scored a record 72 points in a 1991 Division I basketball game. Statistics on "NCAA college sports"
Are you going to watch this year’s "March Madness," the NCAA’s college basketball tournament? Would you like to attend a March Madness game in person? Do you take part in a March Madness office betting/bracket pool?